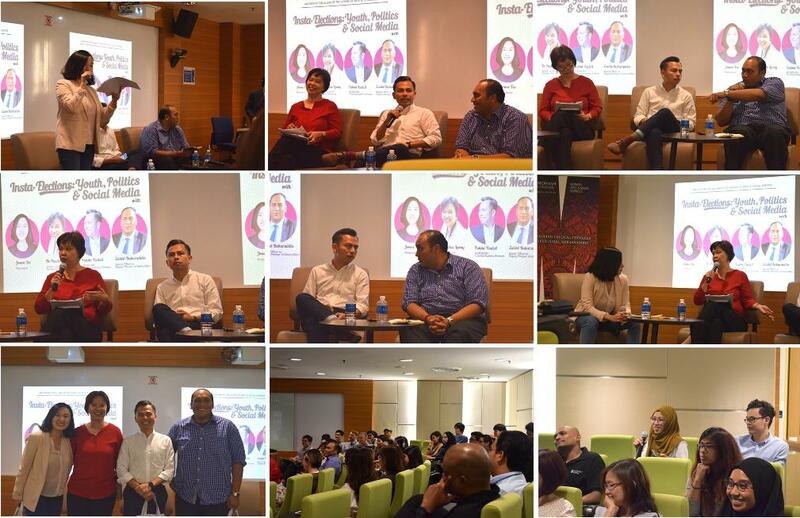 The SASS Alumni of Monash University Malaysia organised their first event of 2018, titled “Insta-elections: Youth, Politics & Social Media”. As the next general elections are round the corner in Malaysia, the aim of the public forum was to have a discussion about the role of the youth and social media in the Malaysian political scene. For the occasion, a panel comprising Zaidel Baharuddin, the special officer to the Deputy minister of Home Affairs; Fahmi Fadzil, the communications director at Parti Keadilan Malaysia, and Dr Pauline Leong, a senior lecturer at Sunway University. The event started off with a welcome speech by the SASS head of school, Professor Helen Nesadurai. She talked about the importance of having an active alumni society and spoke of her wish to see more of such events being organized throughout the year. Jowee Tee, SASS alumni and panel moderator then got the ball rolling by directing questions at all three members of the panel about their point of view on social media in politics. Zaidel Baharuddin talked about how the internet’s impact on Malaysian politics began through the blogging phenomenon and pointed to the Bersih movement as an example, which started through blogs and is now a very active social media campaign which has redefined the Malaysian political scene. Fahmi Fadzil said that social media definitely has its place in Malaysian politics since there are 17 million Malaysian Facebook accounts. He specifically pointed to Whatsapp, saying that because the messaging app has a very high penetration rate in Malaysia, it is something politicians need to consider when it comes to the upcoming election. Dr. Pauline Leong and Zaidel Baharuddin followed suit on the significance of Whatsapp talking about the end-to-end encryption of the messaging app that makes it even more important for politician to use it in an effective manner. Dr Pauline and Zaidel even argued that the upcoming election might be a ‘Whatsapp election’ instead of a Facebook election as everyone would expect it to be. Fahmi and Zaidel shared their experiences of using social media in campaigning for their respective political parties and highlighted instances where even the most remote places in Malaysia would surprisingly rely on social media to obtain information. Dr. Pauline mentioned that is very important to be wary of the social media hype. She said what can be observed online does not always translate to real life politics. Fahmi and Zaidel agreed, with both saying that having an online presence is not enough to win an election and door-to-door work is still the most important part of any campaign. The issue of voting age was also brought up and the panel members talked about the possibility of changing the voting age from 21 years old to 18 years old. All members of the panel stressed about the importance for young people to participate in the political process of the country. Jowee then gave members of the audience opportunities to ask questions to members of the panel. After an informative exchange between all parties, the panel session was concluded.